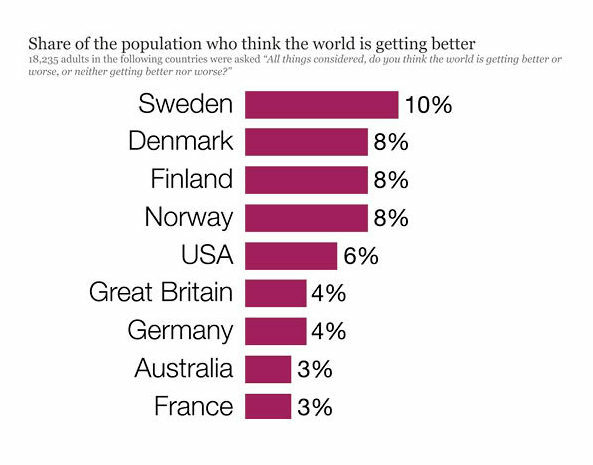 As you can see from the graphic, the most optimistic country, regarding the future, is Sweden, and the depressing news is that only 10% of Swedes think the world is getting better. It goes down from there; other Norwegian countries come in at 8% optimistic, while 6% of Americans and just 4% of British and German residents think the world is becoming a better place. As it happens, this small minority is right. An article in Our World In Data says that if we look back 30 or perhaps 50 years, we can see progress that might not be visible if our time frame is: “since last week.” The article, in fact, suggests that the world is becoming tremendously better in a variety of ways that are happening too slowly for us to appreciate. For instance? The number of people living in extreme poverty—defined as living on less than $1.90 a day, adjusted for different price levels in different countries and for inflation (and also for subsistence farming, where the crops are given equivalent values)—has dropped from almost everybody in 1820 to 44% in 1981, down to fewer than 10% of global citizens in 2015 (the last year for which we currently have data). Isn’t that remarkable progress? Another measure is literacy. In 1820, only about one person in ten older than 15 years could read and write. 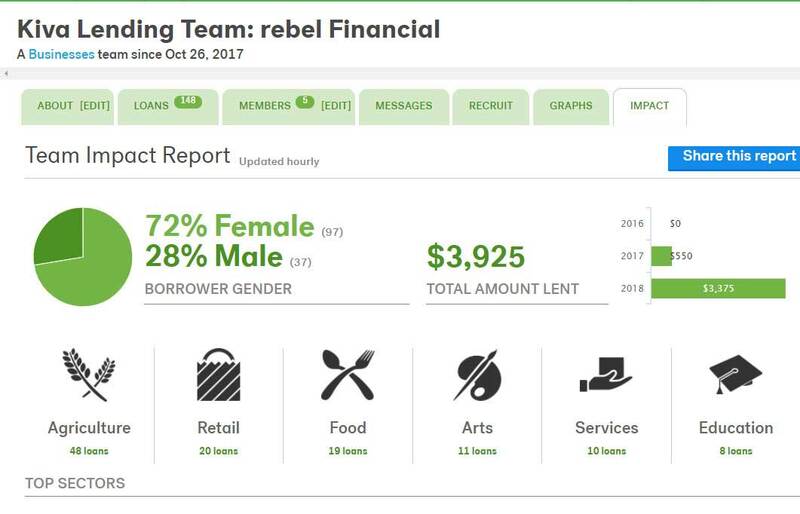 In 1930, the number was around 33%. Now, globally, 85% of our world citizens can read and write in their own language, and of course many people are now fluent in multiple languages. When looking at health, the researchers say that we cannot appreciate how much better the world has gotten until we fully appreciate how terrible the past was. In 1800, about 43% of the world’s newborn babies died before their 5th birthday. Since then, we have enjoyed better housing and sanitation, better nutrition and more available food (which also made us smarter and taller), plus the germ theory of medicine, antibiotics and vaccines. Today, only 4.3% of newborns die before the age of 5. The article also considers political freedom, which has shifted from virtually everybody living in colonial regimes or autocracies in 1900 to virtually everybody (except the Chinese and a few holdouts like North Korea, Iran and Saudi Arabia) living under a republican form of government today. Educational opportunities are far more widespread today than they were even 50 years ago around the globe, and in general the world is healthier, richer, smarter and wealthier. Not understanding this enormous progress means that we don’t understand our own history very well—and, the article suggests, this robs us of a positive outlook on ourselves and the future. We should have more faith in ourselves; despite the obvious setbacks and speed bumps, the human species seems to be doing a great job of improving its conditions and making the world a better place.